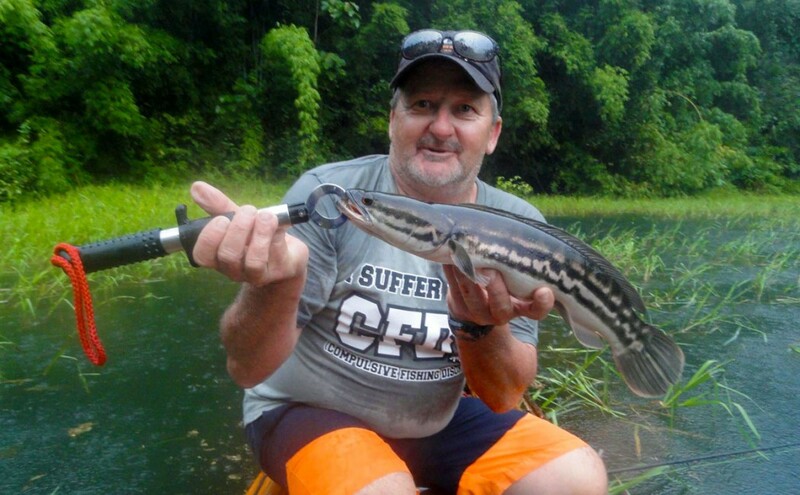 CHEOW LAN LAKE IS ONE OF THE PREMIER FRESHWATER FISHING DESTINATIONS IN THAILAND, AND FOR A VERY GOOD REASON! 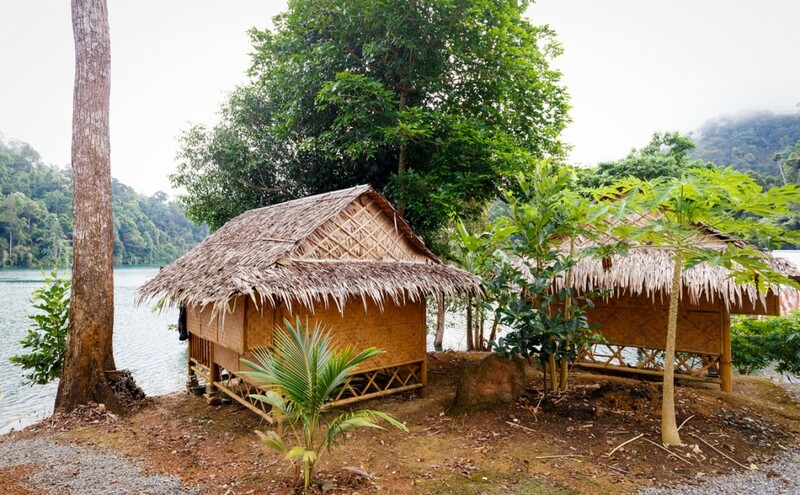 Fishing on Khao Sok Lake features remote lakeside jungle camps, gorgeous surroundings and exotic wildlife. 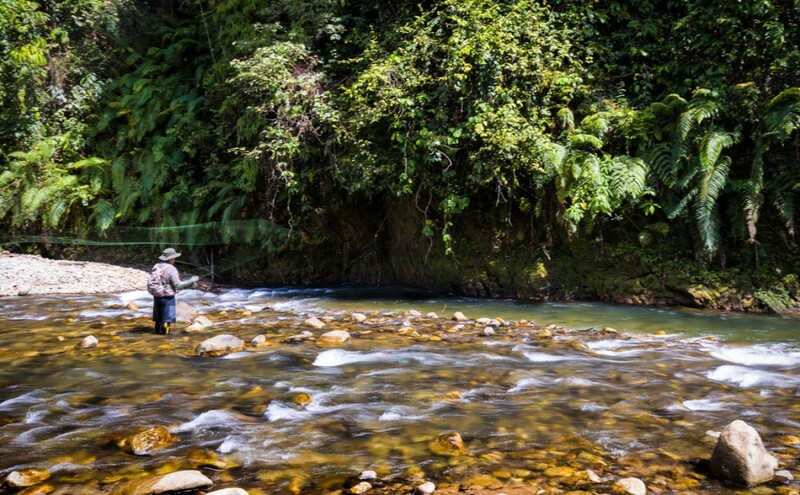 It’s a great place to cast your line and enjoy life! On top of that, there’s Barb, Carp, Perch, Catfish, Masheer, and Snakehead for the catching. You’ll be at the more quiet and relaxing back corners of the west lake. 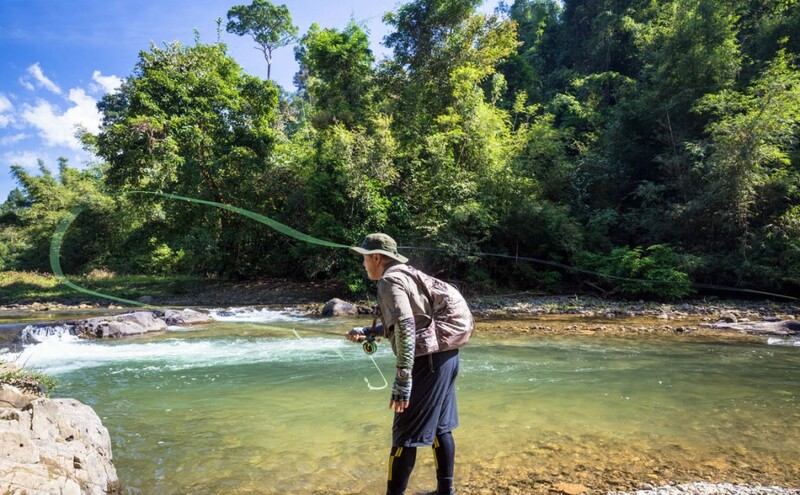 Thai fishing tours are designed to help you to get in touch with nature while engaging in a long-standing tradition for local guides and rangers. 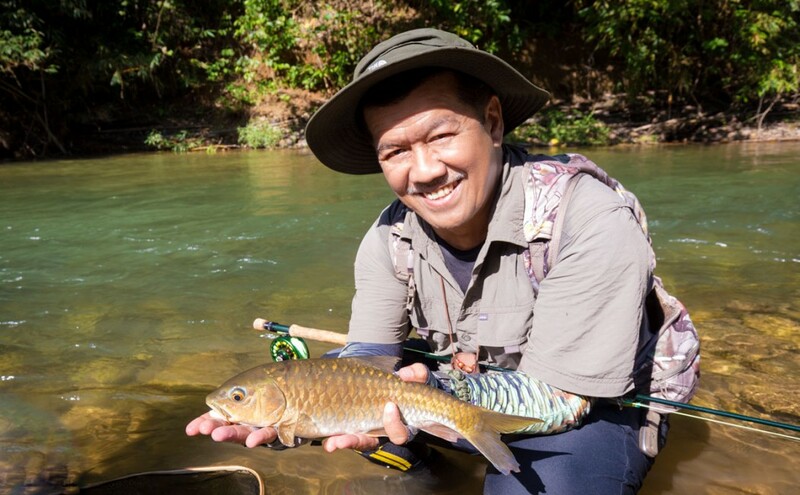 The nice part about going fishing on khao sok lake is that the best times (early morning and late afternoon) are also the optimal times for seeing animals on land as well. 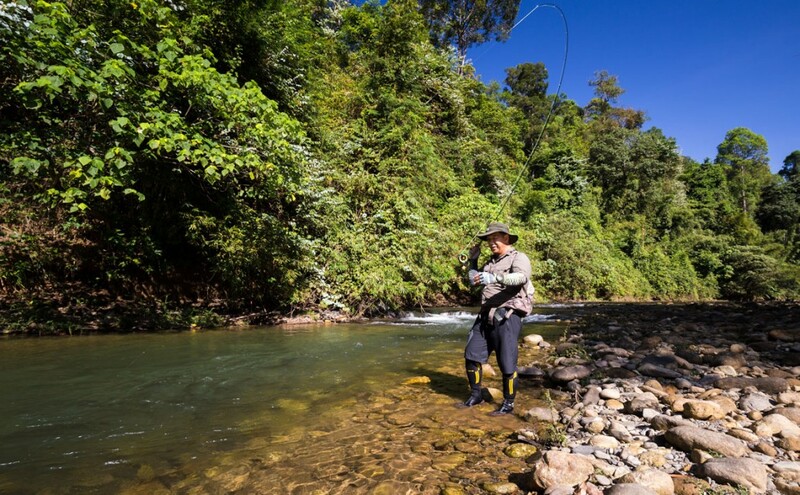 Depending on your schedule and preferences, you’ll be able to do some lure fishing, fly fishing, or a little bit of both. For the longer trips, you can decide which type of fishing you will do on which days. If these tours aren’t quite what you’re looking for, let us know and we’re happy to customize them! 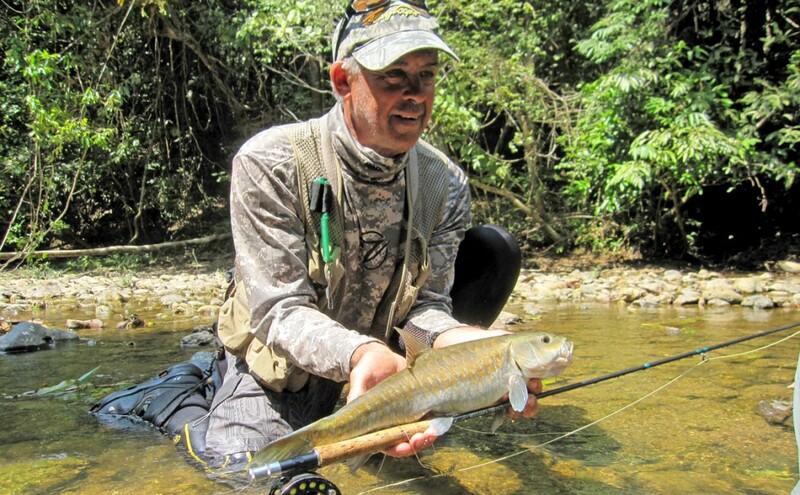 Although the dry season (December – April) is best for fly fishing, spin fishing can be good fun any time of year! Please keep in mind that these tours do not include fishing equipment, and the rental gear at the pier is not of good quality. 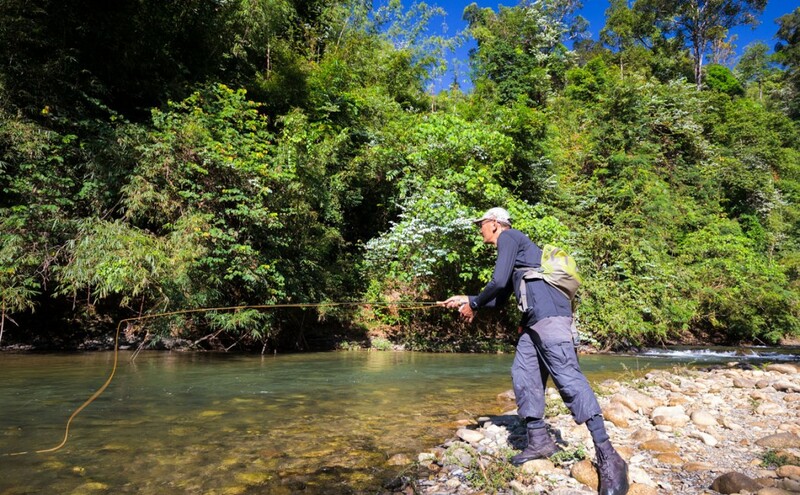 It’s recommended that you bring your own gear for both spin and fly fishing and your own lures. 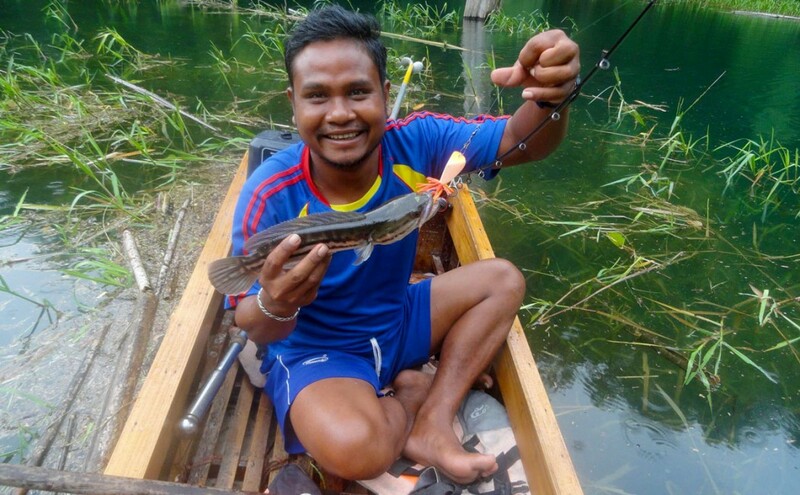 With the our local experts, we’ll be happy to advise you what the best gear is for Fishing on Khao Sok Lake, once you’ve booked with us. 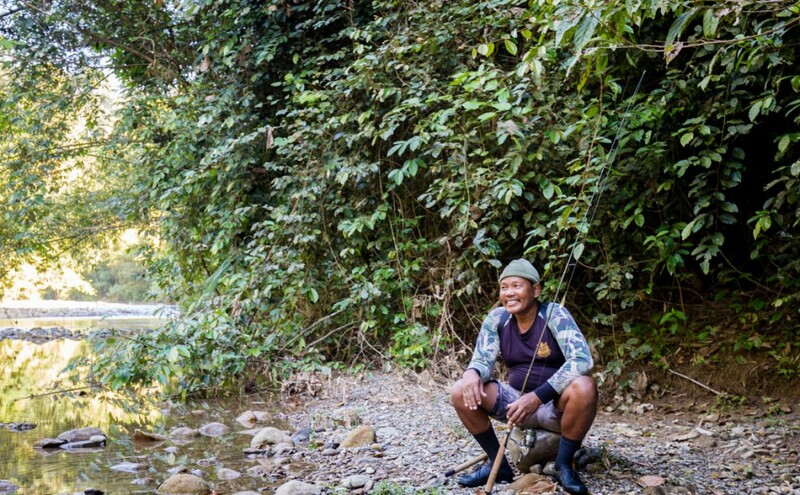 Grab a quick breakfast before heading out on your small boat with your local fishing guide to search the waters of Klong Saeng for snakehead and catfish! Have a pack lunch on the boat, prepared that morning.